The CJ Range is our cheapest range of timber cabins, but that doesn't mean we have compromised on quality to bring you a cheap cabin, it just means you can still have a beautiful timber log cabin that's a little easier on your pocket. 28mm thick floors and quality argon filled double glazed windows always come as standard on all cabins, and tilt and turn windows on cabins with wall thicknesses 44mm and above. With this quality and the right maintenance your cabin will last you a lifetime. There are 33 timber cabins to choose from in this range all under 2.5m high there for planning permission should not apply, with sizes starting from a small compact 2.5m square up to a massive 6.5m x 4.5m there is no need to settle for a traditional garden shed. So whatever you need your new timber log cabin for with this many cabins for you to choose from you can be assured you will find the perfect cabin to compliment your garden. If you are using your new timber cabin for a home gym, office, garden shed or just garden retreat a quiet with the CJ Range you can also add a small separate lean to extension to keep those gardening tool neatly tucked away. 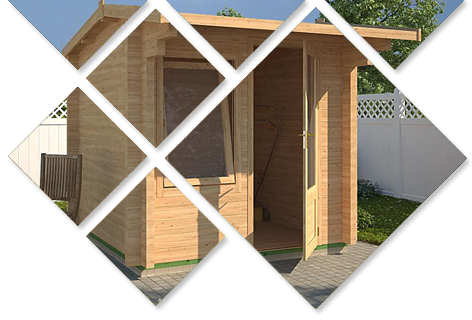 The cabins are relatively easy to construct by most competent DIYers, as long as the shed base is of the correct size and level. We recommend a good roofing felt at least and guttering should be fitted to ensure all rain water drains away from the cabin However this is not a one man job, any mistakes made that may cause any damage to you cabin and failing to follow our recommendations will affect you warranty. 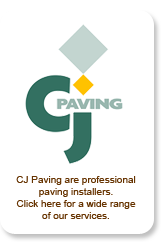 So if in any doubt have one of our professional installation teams do the job for you. Why not finish your log cabin off with the roofing it deserves with Grade 1 Blue Label Cedar Shingles fitted, not only do they give a perfect finish but you will never have to worry about re-roofing your cabin for 50 years. Again our installation teams can achieve this finish for you. Maintenance is also very easy. Simply coat the outside of your timber log cabin with a micro-porous paint (we recommend 2 coats depending on the quality of the paint), this allows the timber to continue to breath but at the same time letting no water penetrate through. To maintain the waterproof coating re-painting is only required every 3-5 years, there for your CJ Range log cabin will continue to give a lifetime of pleasure with no wood rot and not disintegrating.